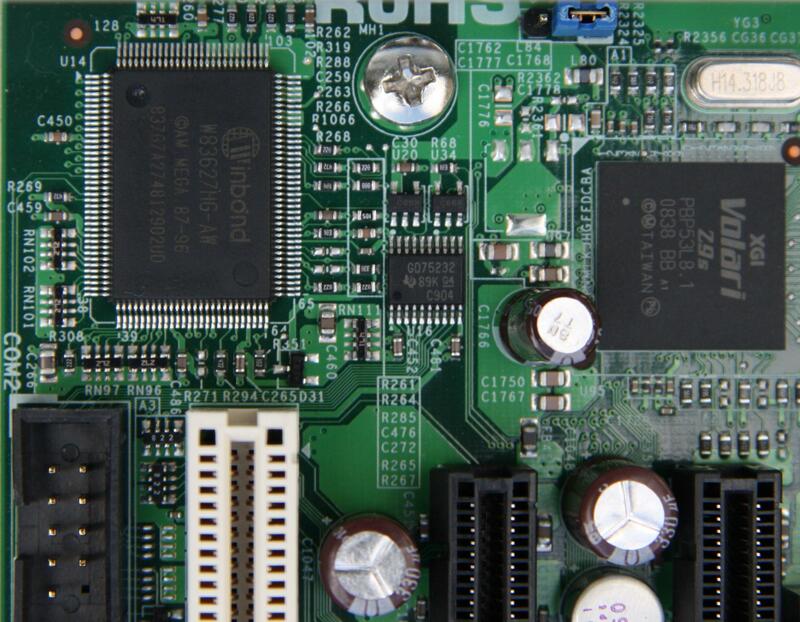 The W83627 sensor is located in the back left corner of the motherboard, and is connected to the LPC bus. In general the sensors on the W83627are not used/connected, and the W83793G (below) should be used. 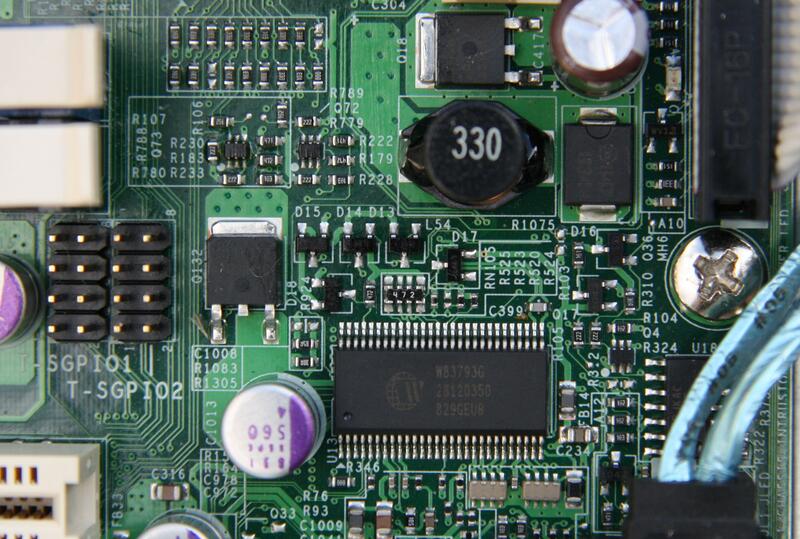 The W83793G sensor is located in the front middle of the motherboard near the front panel header. Note: Getting technical information regarding the sensors from Supermicro is difficult. It appears that PWM1 on the W83793 controls all fans at the same time. Note: The configuration generated by pwmconfig (version 3.0.2-1.fc10) incorrectly seperates the FCFANS entries with a plus sign ('+'), which is not read correctly with the fancontrol script. Manually editing the configuration to use spaces corrects this isuue.